Flying Fish gave Johannesburg a much-needed burst of flavour at their highly anticipated Flavour Odyssey experience. Victoria Yards was brought to life by the vibrant sounds and stylistic flow of American rapper J.I.D. 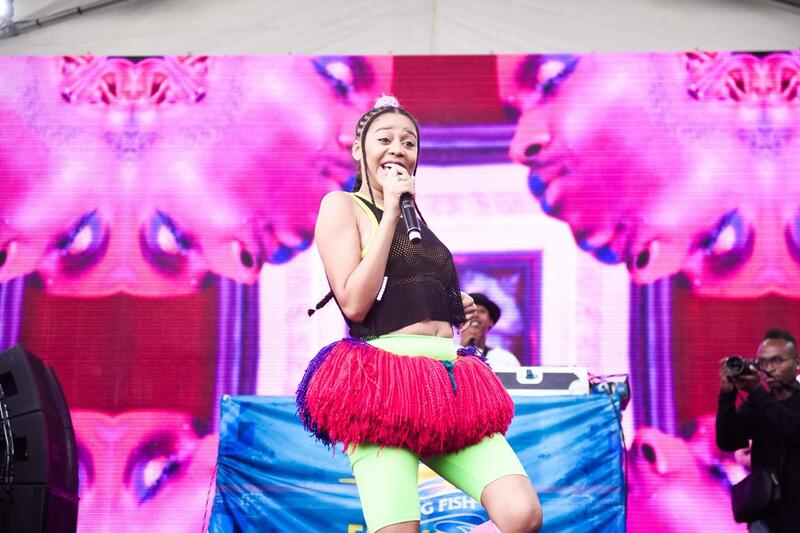 In addition to the intentional act, the crowd could not stop themselves from dancing to the energetic sounds of the diverse local line-up that included “Mahke” hitmaker Moonchild Sanelly, TRACE Mobile ambassador Sho Madjozi, Black Motion and upcoming artists Kitchen Mess. The electronic vibrations on Spoek Mathambo and Manthe Ribane kept the crowd moving with their unconventional sounds. In the days leading up to the show piece event South Africans were highly anticipating international act Masego who announced that he was unable to appear at the Flying Fish Flavour Odyssey due to unforeseen circumstances.